Senior U.S. District Judge Jed S. Rakoff, keynoter at the upcoming 27th Annual ACFE Global Fraud Conference, hasn't shied from vividly chastising Wall Street and the U.S. government in the wake of the Great Recession. This question has persisted since the recent U.S. financial crisis: Why haven't any top banking and Wall Street executives been held accountable for alleged fraud? Fraud Magazine editors have asked it, and so have ACFE members, the public and media reporters. Senior U.S. District Judge Jed S. Rakoff asked it in his Jan. 19, 2014, article "The Financial Crisis: Why Have No High-Level Executives Been Prosecuted?" in The New York Review of Books. "[I]f … the Great Recession was in material part [of] the product of intentional fraud, the failure to prosecute those responsible must be judged one of the more egregious failures of the criminal justice system in many years," wrote Rakoff, a leading authority on securities and white-collar crime laws. Rakoff, in a recent interview with Fraud Magazine, said the reasons for the government's lack of prosecutions ranged "from the diversion of FBI agents to other priorities to prosecutors' increasing unfamiliarity with how to pursue such cases. "But two reasons stand out," says Rakoff, a keynoter at the upcoming 27th Annual ACFE Global Fraud Conference, June 12-17 in Las Vegas. "First, beginning in the late 1990s, the Department of Justice became increasingly enamored with the vague — and in my view misguided — notion that prosecuting corporations instead of individuals would affect a change in ‘corporate culture' that would make companies more law-abiding. Rakoff, in his career as a judge — supported by his earlier work as an assistant U.S. attorney — hasn't been afraid to buck the judicial system. Jed S. Rakoff has served since March 1996 as a U.S. district judge for the Southern District of New York. He also frequently sits by designation on the 2nd, 3rd and 9th Circuit Courts of Appeals. Rakoff also is an adjunct professor at Columbia Law School, where he teaches courses in white-collar crime, science and the law, class actions, and the interplay of civil and criminal law. He has co-authored five books, written more than 130 published articles, delivered more than 520 speeches and authored more than 1,500 judicial opinions. Rakoff holds a Bachelor of Arts in English Literature from Swarthmore College, a Master of in Philosophy from Oxford University and a Juris Doctor degree from Harvard Law School. Following law school, he spent a year clerking for the late Hon. Abraham L. Freedman, U.S. Court of Appeals, Third Circuit, and two years as an associate at the Debevoise law firm. From 1973 through 1980, Rakoff served as an assistant U.S. attorney in the Southern District of New York — the last two years of which he was chief of business & securities fraud prosecutions. Thereafter, before going on the bench, he was a partner at two large law firms in New York, specializing in white-collar criminal defense and civil RICO. 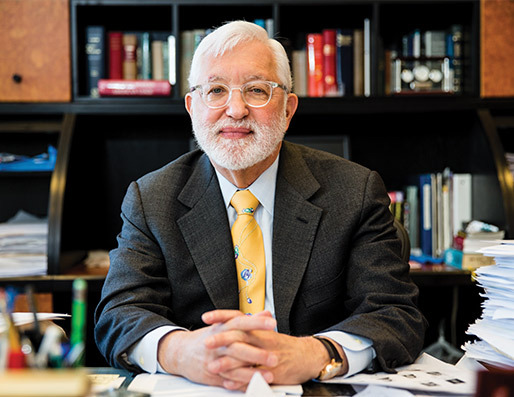 Rakoff serves on the National Commission on Forensic Science and served as co-chair of the National Academy of Science’s Committee on Eyewitness Identification. He serves on the New York City Bar Association’s Executive Committee and was previously chair of that association’s Honors and Criminal Law Committees. He assists the U.S. Departments of Commerce and State in training programs of Iraqi judges in Baghdad and in Istanbul. Rakoff is a member of the American Academy of Arts and Sciences and of the American Law Institute, and is a judicial fellow for the American College of Trial Lawyers and the American Board of Criminal Lawyers. He was a director of the New York Council of Defense Lawyers from 1990 through 1994. On Aug. 3, 2009, Bank of America agreed to pay $33 million to the U.S. Securities and Exchange Commission (SEC) without admitting or denying charges that it made false statements about its then pending acquisition of Merrill Lynch. Rakoff rejected the settlement outright. In his opinion, he wrote, "Overall, indeed, the parties' submissions, when carefully read, leave the distinct impression that the proposed Consent Judgment was a contrivance designed to provide the S.E.C. with the façade of enforcement and the management of the Bank with a quick resolution of an embarrassing inquiry — all at the expense of the sole alleged victims, the shareholders. Even under the most deferential review, this proposed Consent Judgment cannot remotely be called fair," he wrote. "The fine, if looked at from the standpoint of the violation, is also inadequate, in that $33 million is a trivial penalty for a false statement that materially infected a multi-billion-dollar merger. But since the fine is imposed, not on the individuals putatively responsible, but on the shareholders, it is worse than pointless: it further victimizes the victims," Rakoff opined. Rakoff forced Bank of America and the SEC to return with a higher penalty and a 35-page statement about what actually happened. He called the revised settlement "half-baked justice at best." In a November 2011 ruling, Rakoff tossed out a settlement between the SEC and Citigroup that allowed the firm, without admitting guilt, to pay a $285 million fine for allegedly selling a billion-dollar fund filled with toxic mortgage debt. On June 4, 2011, the Second Circuit Court of Appeals overturned the Citigroup ruling. But Rakoff was able to say his piece. In his November 2011 opinion, he wrote, "The SEC's long-standing policy — hallowed by history, but not by reason — of allowing defendants to enter into consent judgments without admitting or denying the underlying allegations, deprives the court of even the most minimal assurance that the substantial injunctive relief it is being asked to impose has any basis in fact." "In any case like this that touches on the transparency of financial markets whose gyrations have so depressed our economy and debilitated our lives, there is an overriding public interest in knowing the truth," Rakoff wrote in his 2011 opinion. "In much of the world, propaganda reigns, and truth is confined to secretive, fearful whispers. Even in our nation, apologists for suppressing or obscuring the truth may always be found," Rakoff wrote. "But the SEC, of all agencies, has a duty, inherent in its statutory mission, to see that the truth emerges; and if it fails to do so, this Court must not, in the name of deference or convenience, grant judicial enforcement to the agency's contrivances." Some feel that Rakoff represents U.S. citizens who believe that banks and other financial institutions got off easy from their actions that helped spawn the Great Recession. But he demurs. 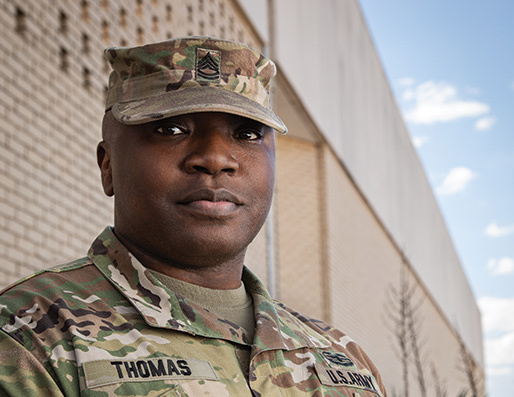 "While I am flattered that some of my decisions have resonated with the public, my only job is to apply the law as best and fairly as I can," he says. "If my decisions were unpopular, that would still be my only job." The ACFE, during the 27th Annual ACFE Global Fraud Conference, will present Rakoff with the Cressey Award for a lifetime of achievement in the detection and deterrence of fraud. The award is named after one of the world's foremost experts on fraud and a founding father of the ACFE, Dr. Donald R. Cressey (1919-1987). FM: In previous interviews I've had with top U.S. Department of Justice (DOJ) officials, they contend that it was difficult to prove fraudulent intent on the part of the high-level management of banks and companies during the economic crisis often because of the lack of evidence or that committees in corporations, not individuals, made fraudulent decisions. How do you counter this reasoning? JR: This is doubly erroneous, both as a matter of fact and as a matter of law. As a matter of fact, prosecutors were able in the 1980s and 1990s to successfully prosecute the highest-level executives involved in scandals involving similarly huge businesses (e.g., Skilling at Enron and Ebbers at WorldCom) and similarly complicated transactions (e.g., Milken in the junk bond scandal and Keating in the S & L scandal). It is hard work and often takes years, but history proves it can be done. Furthermore, as a matter of law, federal law (under the doctrine known as respondeat superior) provides that, with very few exceptions, you cannot prosecute a company unless you have identified one or more individuals who have committed the underlying crime, which suggests that the DOJ itself must have identified such individuals before it brought its cases against the companies. Of course, many of those individuals may have been of low or medium level. But if, instead of ignoring them and just going after the company, the DOJ had put pressure on those individuals to cooperate, the likelihood is that the DOJ would have been able in many cases to move up the ladder to the highest executives involved. FM: Can you describe how the law concept of "willful blindness" or "conscious disregard" figures into the equation? JR: Fraud doesn't always originate at the top. But if the fraudulent activity is important to a company's success, top executives may sooner or later become aware of suspicious circumstances suggesting that fraud is occurring. These executives often then face the choice of either inquiring into the suspicious activity, knowing that if they learn it is fraudulent they will have to stop it (to the detriment of the company's profitability and competitiveness), or simply ignoring the suspicious circumstances and choosing not to inquire further. While responsible executives will take the former approach, there are always those who will seek deniability by purposely shielding themselves from learning the facts. This is such a transparent evasion that over a hundred years ago the courts developed the rule that if a person deliberately shields himself from learning about misconduct that he knows there is a high likelihood he will learn about if he inquires — if, in effect, he puts his head in the sand — it is the legal equivalent of his actually knowing about the misconduct. This doctrine, variously known as "willful blindness" or "conscious disregard" has been repeatedly reaffirmed by the Supreme Court, as recently as 2011. It was one of the essential tools used by prosecutors in the 1980s and 1990s to go after the high-level executives I previously mentioned. FM: How do you answer DOJ officials' reasoning that they didn't bring criminal prosecutions against individuals because they would harm the economy? As you say, the government actually did prosecute individuals in the Enron and WorldCom cases. JR: In Enron and WorldCom the highest-level individuals were prosecuted and convicted without the slightest effect on the overall economy. More generally, while I am dubious that prosecuting companies, even at the depths of the recent financial crisis, would have materially impacted the economy, I can at least see how such an argument might have been made. (And prosecuting companies, even in the best of times, has all sorts of unfair collateral consequences for innocent employees, shareholders and the like.) But the argument that prosecuting individuals would somehow impact the economy is totally unsupported: I do not know of any case where this was ever true. FM: You've written that the U.S. government's emphasis on other priorities is one of the reasons that it hasn't brought many criminal financial fraud cases. Can you elaborate on that? JR: The government has directed many of its limited prosecutorial resources to other priorities, but in some respects this is understandable. For example, whereas, before 9/11, the FBI had steadily beefed up its financial fraud investigation unit to about 1,000 agents, after 9/11 most of these agents were, understandably, transferred to anti-terrorism work. More recently, the FBI has started to once again increase its financial fraud unit, but in the interim, the statute of limitations has run out on many (though not all) of the cases of alleged fraud arising from the financial crisis. FM: Can you describe additional influences that have had the effect of limiting criminal prosecutions stemming from the Great Recession? How did the government's involvement in underlying circumstances lead to the financial crisis? JR: In numerous ways, the government, beginning in the late 1990s if not earlier, put pressure on banks to make more and easier mortgage loans available to low-income and high-risk individuals, thus paving the way for so-called "liar loans," where the application information was dubious on its face and the risk of default was much greater than it had historically been. The government also relaxed the inquiries that banks were required to make when approving such mortgage loans. Moreover, as the result of the repeal of the Glass-Steagall Act in 1999 — thereby allowing commercial banks to act as securities brokers — the banks didn't care as much about defaults since they made their money not so much from the interest payments on the mortgages but by pooling the mortgages and selling them as securities. So, while the government never approved fraud per se, it helped create some of the conditions that invited fraud. This may well have been one of the reasons the government was less keen to prosecute such fraud. FM: The U.S. government has increasingly prosecuted companies without indicting individual executives because they say they want to transform, as you say, "corporate cultures" and prevent future crimes. How do you answer this method? JR: Prof. Brandon Garrett, in his excellent book "Too Big To Jail," has investigated this claim in great detail and shown convincingly that such corporate prosecutions have done little or nothing to make the subject companies more law-abiding. Even if this were not the case, moreover, why does going after companies in any way preclude also going after the individuals at those companies who actually committed the crimes? FM: You've said in the recent past that you've noticed an accelerating trend for the SEC to bring certain kinds of enforcement actions as administrative prosecutions within the agency rather than the federal courts as it has historically done. You've said that in large part — because of certain sections of the U.S. Sarbanes-Oxley Act and the Dodd-Frank Act — the SEC today can obtain through internal administrative proceedings nearly everything it might obtain by going to court. What are your views on this sea change within the SEC? JR: Historically, the SEC had to go into federal court to get any kind of meaningful relief in major cases. Now it can get this through its own internal proceedings. The legislative history shows that this was slipped in by Congress at the behest of the SEC, with little or no Congressional focus or debate. I think it is a mistake. FM: The SEC has claimed that it has made these changes because they're more efficient, but you've called it "administrative creep." Why is this a problem? Do you think the SEC has another overarching reason for internal administrative judgments? JR: The SEC (like, admittedly, the courts) has never been a model of efficiency, and nothing about this change is likely to make it more so. Frankly, it is hard to escape the conclusion that the SEC sought this change because it wins a much higher percentage of its cases in its internal proceedings than when it goes to court. But, as this suggests, the administrative proceedings may lack some of the guarantees of fairness that federal courts provide. FM: You've claimed that the SEC's move toward internal administrative judgments on fraud cases hinders the balanced development of securities laws. How is this so? How is it unfair to the litigants and detrimental to the SEC? Has the SEC become a law unto itself? JR: Overall, the SEC is a fine agency — in many ways, one of the best — but, like all administrative agencies, it sees everything from its own narrow perspective. Federal courts, having a much broader jurisdiction, can interpret these laws in a more balanced fashion. For example, identical provisions of the securities laws give rise to both civil and criminal proceedings, but the SEC can only bring civil proceedings, whereas the DOJ brings the criminal proceedings. A basic tenet of U.S. law is that civil laws should be broadly interpreted while criminal laws should be narrowly interpreted. But here you have the very same laws performing both functions. Since the SEC's administrative judges only see these laws in civil proceedings, they tend to interpret them more broadly than federal courts, which recognize they must balance the civil and criminal interpretations. So, my fear is that without the breadth and balance that the federal courts bring to the table the SEC will tend to interpret these very important statutes in a one-sided manner that will not redound to the just development of the law. FM: You've said that criminal law is "applied morality." Can you explain why? JR: A civilized society does not impose serious punishments like imprisonment, nor lightly brand someone a criminal, unless, in the terms commonly used in our criminal laws, that person's misconduct was both "willful" (i.e. intentional) and "wrongful" (i.e. in contravention of accepted norms of civilized conduct). To act willfully wrongful is therefore just a synonym for acting in an egregiously immoral fashion. FM: How did your parents influence your judicial and moral views? JR: They were persons of integrity, compassion and courage. Whenever I have a hard decision to make, in law or in life, I only need ask myself: What would my parents have done? FM: Dr. Joseph T. Wells, CFE, CPA, founder and Chairman of the ACFE, founded the association with the supposition that businesses would be smart to prevent and deter fraud rather than deal with its expensive aftermath. What are some ways that the financial industry can prevent and reduce the fraud that will contribute to the next Great Recession? JR: In my view, top management sets the tone for the entire company. If it is well known that they will not tolerate fraud or sharp practices and that they will not hesitate to investigate suspicious conduct regardless of how or by whom committed, all the rest will follow. FM: What advice can you give fraud examiners who are fighting in the trenches? JR: Don't let anyone tell you "it's all too complicated." No matter how disguised, fraud is simply lying for money. FM: What interested you in pursuing a profession in the rule of law? JR: Law is a wonderful blend of the practical and the intellectual. And, besides, the Yankees already had a center fielder. FM: What are some of the joys of being a district judge? JR: You get to say what you actually think — and at least someone has to listen to you. FM: Why do you have an interest in white-collar law, among many other areas? JR: The integrity of our businesses and markets is one of the United States' greatest assets. The law is the protector of this asset. FM: I understand that you and your wife are accomplished ballroom dancers, and you fulfill some of your earlier stage aspirations by writing and performing productions for court employees. How do these activities complement your professional life? JR: My original ambition was to write musicals, and by writing and performing musical skits in the courthouse, I am constantly reminded of why I wisely gave up this goal. As for the ballroom dancing, my beautiful wife is a joy to behold. And, as for my own dancing, the amazing thing is, not that I can do it well — I can't — but that I can do it at all.